This paper, based mainly upon previously classified United Nations documents, will seek to re examine the events surrounding the Act of Free Choice which took place in West New Guinea in July and August 1969. In particular, I wish to look at the role of the United Nations and consider whether or not it fulfilled its responsibilities towards the Papuan people. 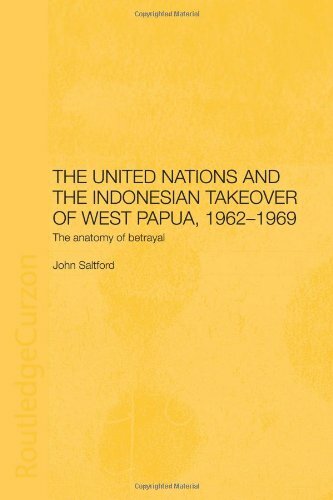 The origins of UN involvement in West New Guinea begin with the formation in 1949 of the UN Commission on Indonesia. This set up the “Round Table Conference” at The Hague which resulted in the agreement to transfer sovereignty from the Dutch to an Indonesian federation led by President Sukarno. During the negotiations, the Netherlands had insisted on retaining sovereignty over West New Guinea, a position condemned by Indonesia as the continuance of Dutch colonialism and a “troublemaking anachronism.”1 The Hague argued the West Papuans had little or no connection with the Asians of Indonesia. They also claimed that they had only administered West New Guinea from Java because they did not consider it practical to appoint a separate governor and administration for a territory with only a small Dutch presence. Nonetheless, Jakarta claimed that West New Guinea was an integral part of the Dutch East Indies and should therefore be part of Indonesia. Further talks were held on the issue in December 1950, but no agreement was reached. Under the terms of the 1962 New York Agreement, this temporary UN administration was only the first part of a process that would ultimately lead to the Papuan people of West New Guinea exercising their right to self determination. In August 1968, a UN team returned to the territory, now renamed West Irian Led by the Bolivian diplomat Fernando Ortiz Sanz, its responsibility under the Agreement was to “assist, advise and participate” in the act of self-determination planned for the following year. The New York Agreement referred to an opportunity to “exercise freedom of choice,”and of consultations with “representative councils” on procedures and methods to be adopted for “ascertaining the freely expressed will of the population.” At no point were the critical words “referendum” or “plebiscite” mentioned.11 Nonetheless, Article XVII of the Agreement states that all adults from the territory were eligible to participate in the act of self determination, “to be carried out in accordance with international practice.” Although no definition of what this meant was given, the phrase is of central importance when considering whether or not the terms of the agreement were ever legitimately fulfilled. The strength of the Indonesian position lies in the fact that … they must know that, even if there are protests about the way they go through the motions of consultation, no other power is likely to conceive it as being in their interests to intervene. . . . Although Ortiz Sanz spent very little time in the territory during 1968, the Indonesians were still uncomfortable about his presence. In December, they complained to his superiors in New York that he had become a focus of attention to the Papuans and was causing a “certain excitement” which was obstructing the “smooth running” of the territory. It is true that, despite being constantly accompanied by Indonesian officials, Ortiz Sanz was approached by at least twenty six Papuans who managed to pass him petitions and letters, most of which condemned Indonesia and called for a genuine referendum in the territory. Importantly, Jakarta also objected to the UN’s intention to send up to fifty staff to West Irian. This number was later reduced to twenty five, but in the end only sixteen UN staff members were employed, and these included administrative personnel. Looking back, it seems incredible that the UN agreed to limit the number of its officials to such a small, token figure. By way of comparison, the UN mission to organize and monitor the August 1999 referendum in East Timor totaled upwards of one thousand individuals, including several hundred police and hundreds of electoral officials. While Ortiz Sanz’s team had the more limited responsibility of “advising, assisting and participating” in the Act of Self Determination, it operated in a territory many times the size of East Timor. Both territories were engaged in an act of self-determination, but the comparison demonstrates the immense difference between a genuine attempt to monitor a democratic referendum and one that was not genuine. At the end of 1968, Ortiz Sanz and a handful of his team members went on a second tour of West Irian lasting just over three weeks. On returning to Jakarta, he reported to his superiors that they had been followed everywhere by Indonesian officials, and as a consequence, had found it very difficult to have any free contact with the local population. Despite this, he was aware of anti Indonesian feelings, but his report shows that he wished to ignore Papuan opposition to Indonesia’s rule insofar as that was possible. Meanwhile, at a meeting in New York in late January, Sudjarwo informed the Secretary General that Jakarta had rejected Ortiz Sanz’s plan to adopt a “mixed system” for the Act.38 However, the UN Secretariat’s apparent prior agreement with Jakarta in 1963 to dispense with any direct voting suggests the plan might simply have been a public gesture to demonstrate UN efforts to ensure some democratic involvement in the Act. In his final report to the General Assembly, Ortiz Sanz wrote that he had received a total of 179 petitions during his time in the territory, both for and against Indonesia. With regard to the first group -petitions favoring Indonesian sovereignty over West Irian -he said that these came from the regional councils and various officially recognized organizations. They were, he said, written by politically minded and better educated people. At no point in the report did he question whether these were genuine views or simply the result of Indonesian pressure.47 In contrast, he was dismissive of the anti Indonesian petitions, describing them as being often barely intelligible and usually anonymous. Therefore, even if all the missing twenty three petitions were pro Indonesian, this would mean that over half would still be “anti .” In fact, Ortiz Sanz privately admitted that many of the petitions he received in the final weeks were against Indonesia, so it is reasonable to conclude that in total, at least 60 percent of the petitions delivered to the UN were against Indonesia and in favor of a referendum. It is not realistic to suggest that Ortiz Sanz simply made a mistake, since the descriptions of each petition are clearly typed and the list is easy to add up. Consequently, either Ortiz Sanz himself chose to mislead the UNGA deliberately, or he was told to do so by U Thant. Whoever was responsible, it is a clear illustration of the UN leadership’s collaboration with Indonesia to legitimize the Indonesian takeover of West Irian, at the expense of the Papuans, who thereby lost political rights guaranteed in the Agreement. In March 1969, the Dutch privately urged U Thant to consider sending in a UN expeditionary force to ensure that the vote could take place without intimidation from the Indonesian military.51 The Secretary General, however, contested The Hague’s assertion that such a deployment was permitted by the Agreement and rejected the suggestion. Ortiz Sanz commented, probably correctly, that it was just a Dutch tactic to enable them to claim that they had at least attempted to protect the Papuans.52 Besides, Jakarta would have certainly refused to allow such a deployment. 1. The final consultative assemblies had to have a sufficiently large membership. 2. The assemblies should represent all sectors of the population. 3. The new members of the assemblies should be clearly elected by the people. He ended by stating that Jakarta had given him official assurances that these prerequisites would be complied with.53 Whether this declaration was made widely available to the Papuans is unknown, but if the authorities did not actively cooperate in disseminating the press release, then it is unlikely many Papuans were informed of these prerequisites. On April 11, the last of the regional councils met to accept officially Jakarta’s chosen method for the Act, although they loyally reasserted that the whole exercise was an unnecessary distraction and that West Irian would always be Indonesian. The outcome of this incident has shown for the first time in West Irian the possibility of peaceful democratic demonstrations by the population and evident good will on the part of high ranking Indonesian military commanders. Unease at the developing situation was increased in mid April when widespread rebellions broke out in the Western Central Highlands. Airstrips were sabotaged and Indonesian officials and military fled the region. On April 23, ninety well armed Papuan policemen mutinied and joined the OPM.57 On April 27, a plane carrying General Sarwo Edhie, the territory’s Indonesian military Commander, was hit by gunfire as it flew over the area. Two passengers, including a police inspector, were wounded. In response, the General ordered planes, including at least one B 26 bomber, to strafe Enarotali, and on April 30, Indonesian paratroopers from West Java were flown in. The Indonesian counter attack resulted in around fourteen thousand people fleeing into the bush while skirmishes with the OPM continued.58 Elsewhere, nationalist demonstrations were held in Arso, Indonesian troops were attacked near Merauke, and on the Bird’s Head peninsula, the Arfak rebellion led by Fritz Awom continued. Eventually, under pressure from Rolz Bennett, Ortiz Sanz reluctantly wrote to Sudjarwo urging him to re stage some of the elections, so that the UN could be there to monitor the process. To his surprise, Sudjarwo agreed,67 and between June 26 and, July 5, a selection of fresh elections took place in the presence of UN officials and, occasionally, the foreign press. Despite this, by the end, UN officials only actually managed to witness the election of 195 out of the 1,022 Assembly Representatives who eventually took part in the Act. Nonetheless, it was to be the only occasion in which UN pressure on Indonesia had any effect during the entire period, and Ortiz Sanz made much of it in his final General Assembly report. Absent from this report, however, is any description at all of the election meetings themselves, and the reason for this omission becomes clear from reading the accounts given afterwards by the few members of the foreign press present, and by the locals themselves. A typical example was described by the Australian journalist Hugh Lunn, who witnessed one election in Biak which was also attended Ortiz Sanz himself. When one considers the importance attached by the UN to these elections, which were represented as the “touchstone” on which the democratic credentials of the whole Act would be judged, it is hard not to conclude that their efforts were completely unsuccessful. Even in those few elections witnessed by UN observers, it was obvious that genuine democracy had no perceivable part to play in the exercise. With the failure of his final attempt to create an appearance of democracy, Ortiz Sanz was to spend the remainder of his time in the territory collaborating with U Thant and Jakarta in their efforts to conclude the Act with as little controversy as the situation permitted. I advised him privately though emphatically that his Government should try to obtain assurances that the Netherlands’ Government would not cast any doubt on, or challenge, the Act of Free Choice. This would prevent a heated debate in the General Assembly. This is a significant letter for two reasons. First of all, it reveals that Indonesia was genuinely concerned at possible international criticism of their intention to deny the Papuans any genuine self determination. More importantly, however, this letter provides unambiguous evidence of Ortiz Sanz’s direct involvement with Jakarta in measures aimed at, minimizing the impact of any international protest at these fundamental breaches of the Agreement. While this level of duplicity and cynicism might be expected from, a State in pursuit of its perceived “national interest,” it is a completely indefensible mode of action for a representative of the Secretary General of the United Nations. Following these speeches, twenty of the Assembly members stood up one after the other and made a series of almost identical statements. They proclaimed that they had considered themselves as part of Indonesia since 1945, they recognized only one country, one constitution, one flag, and one Government, that of Indonesia. After these statements the Chairman, a Government official, told the other 155 assembly members to stand up if they agreed with their colleagues position. All then stood up. The third assembly meeting took place on July 19 in Nabire in the Western Central Highlands region. According to the journalist Brian May, a recent rebellion had emptied the area of local people to such an extent that the Indonesians had to ship in Papuans from other regions to play the part of Assembly members.78 Even so, another journalist Hugh Lunn, reported that one assembly member managed to contact him to ask whether he could guarantee that there would be no reprisals if one hundred members spoke out against Indonesia at the meeting. Lunn replied that he could not give such a pledge. Another member then slipped him a note to say that the assembly had all been bribed. At the same time, a third member attempted to pass a note to the UN team, but according to Lunn, they refused to accept it.79 Despite all this, Ortiz Sanz’s official report made no mention of the rebellion or allegations of bribery.80 The same day, Jakarta declared that the results so far meant that West Irian had already chosen to stay with Indonesia. The remaining meetings would therefore be nothing more than a confirmation of this result.81 The next two meetings in Fak Fak and Sorong also followed the same format as the others, with the same speeches and the same pledges love and loyalty to Jakarta delivered by the handful of Papuans selected to speak. With the final part of the Act’s implementation complete, Jakarta solemnly announced that the legal and final result, in accordance with the New York Agreement, was that all the Papuans had elected to remain with Indonesia. Ghana, and several other African countries at the November meeting, condemned the exercise for being undemocratic. They also called for a proper act of self determination to be held in the territory in 1975, on the grounds that the Agreement had not been properly fulfilled. However this amendment to the main resolution on Irian was defeated by sixty votes to fifteen, with thirty nine abstentions. The purpose of this paper, though, was not to discuss the legitimacy of Papuan self determination because this right had already been explicitly acknowledged by the Netherlands and Indonesia when they signed the 1962 Agreement. Furthermore, by agreeing to participate in the implementation of this Agreement, the UN Secretariat undertook a responsibility to ensure that it was properly fulfilled. Instead, my intention has been to determine first of all whether the Agreement was properly implemented and second to assess the UN’s role in its implementation. I would contend that the first part of this does not require an in depth study of the subject to arrive at an accurate conclusion. A brief examination of the official November 1969 report is all that is needed to conclude that the Agreement was not fulfilled. Under its terms, the Netherlands Indonesia and the UN had an obligation to protect the political rights and freedoms of the Papuans, and to ensure that an act of self determination took place, in accordance with international practice. On both these points, the three parties failed, and they did so deliberately since genuine Papuan self determination was never seen as an option by any of them once the Agreement was signed. On the UN’s part in the Agreement’s implementation, it is clear that the Secretariat’s priority throughout was to ensure that West New Guinea became a recognized part of Indonesia with the minimum of controversy and disruption. This was the role assigned to the organization by the Americans in 1962, and U Thant saw no reason not to comply. It was Cold War politics, and the rights of the Papuans counted for nothing. Indeed it would have been extraordinary if things had turned out otherwise. To fulfill its task, the UN Secretariat tolerated Indonesian interference and intimidation of the population during the temporary UN administration of the territory. Shortly afterwards, it collaborated with the Dutch and Indonesians in agreeing privately to abandon the use of any direct voting system for Papuan self-determination. In the year leading up to the Act, the Secretariat’s objective was to minimize the potential for international criticism by ensuring the appearance of a sufficient level of genuine Papuan participation, while obtaining the desired result. To achieve this they made a number of suggestions to Jakarta. Ortiz Sanz’s “mixed method” was one example (as previously mentioned, there is some uncertainty as to The plan’s origin; it may or may not have been originally devised by Ortiz Sanz). Another was their attempt to make sure that some Papuans participated in the process of selecting additional representatives for the final assemblies. Both U Thant and Ortiz Sanz emphasized privately and publicly their concern that there be some democratic dimension to these selections. In the Secretary General’s final report, much was made of Jakarta’s agreement to hold fresh elections in a few of the many areas where no UN officials had been present. In reality, though, this was nothing more than token gesture, and one can conclude that there was no genuine participation by the people in these selection processes. In the end, the unanimous decision by 1,022 to remain with Indonesia made a mockery of the UN’s endeavors, despite an apparent final effort by Rolz Bennett who, according to Markin, had confidentially urged Jakarta to record some negative votes, “to give the outcome the appearance of legitimacy.”92 One can argue however that the lack of international interest in the Act made their failure largely irrelevant at the time. With the realization that Indonesia was going to ignore their recommendations on this issue, the UN chose to cooperate with Jakarta in its efforts to stifle any international criticism of the way the referendum in West Irian had been handled. In this effort they were assisted by other states including the Netherlands, Australia, the UK. These countries all privately lobbied other countries, particularly in which seemed most likely to condemn the result. Furthermore, Ortiz Sanz stated in his report to the UNGA that the majority of petitions he received from Papuans were pro-Indonesian; he made this assertion despite the fact that he must have known it to be false. To conclude, the UN was an active participant in the systematic undermining of the New York Agreement, but its actions were initiated and supported by Washington, Jakarta, and the Hague. In acting as they did, U Thant and the UN Secretariat allowed the UN to involve itself in a dishonest process which deliberately denied the Papuans political and human rights. On December 10, 1999, Dutch Foreign Minister Van Aartson announced that he would initiate a historical re examination of the circumstances surrounding the Act. Van Middelkoop, the MP who was behind the proposal replied “….finally we can look the Papuans straight in the eyes.”94 It remains to be seen whether the UN will agree to join the Dutch in returning again to this particular episode from its past. 1Memo of a conversation in Washington between William Lacy (Assistant Chief of Staff Southeast Asian Affairs), Jacob Beam (American Consul General designate at Batavia), and Soedjatmoko (representative of the Indonesian Republic), September 14, 1949, in US Foreign Relations 1949, vol. VII, Indonesia (Washington, DO Department of State Printing Office). 2John Reinhardt, Foreign Policy and National Integration: The Case of Indonesia. Monograph Series no. 17, (New Haven: Yale University South East Asian Studies, 1971), p. 67. 3Howard P. Jones, Indonesia the Possible Dream (New York: Harcourt Brace Jovanovich, 1971), p. 203. 4Robert Komer, National Security Council Staff to C. Kaysen, presidential assistant for National Security Affairs, February 2, 1962, in US Foreign Relations 1961 1963, ed, Ed. Keefer, vol. XXIII, Southeast Asia (Washington, DC: Dept. of State Printing Office, 1994), p. 512. 5For a detailed analysis of US involvement in the Dutch/Indonesian negotiations of 1962, see Terrence Markin, ‘The West New Guinea Dispute. How the Kennedy Administration Resolved that ‘Other’ Southeast Asian Conflict” (PhD dissertation, Johns Hopkins University, 1966). 6For a brief description of the UN administration of west New Guinea (UNTEA) October 1, 1962 to May 1, 1963, see John Saltford, “Subjects of the Secretary-General West New Guinea 1962 t0 1963,” Pacific Islands Monthly (Fiji, January 2000): 48-49. 7Peter Hastings, “West Irian. A Ticking Time Bomb,” in Australian, August 5,1968. 8Report of a conversation between Reynders, US Embassy, Jakarta, and Ian Morgan, British Embassy, Jakarta, April 9, 1968. Public Record Office (hereafter PRO) UK. FCO 15/162. DH1/7. 10J. M. Sutherland, British Embassy, Jakarta, to Donald Murray, Foreign Office Southeast Asian Department (SEAD), July 2,1968. PRO: FCO 15/189 DH1/7. 12US Jakarta consular official Reynders believed that the Free Papua Movement (OPM) could probably get arms from Communist China if necessary. Quoted in Morgan, April 9, 1968. PRO FCO 15/162; Peter Hastings referred to the belief by many Indonesian officials that the OPM was funded by China which he thought feasible. “The Money and Strength behind the Militant Groups” Australian, August 6,1968. 13Information given by La Porta, First Secretary US Embassy, Jakarta, to Alan Mason, British Embassy, Jakarta. Contained in a letter from mason to David F. B. Le Breton, South West Pacific Department (SWPD) of the British Foreign Office, June 10, 1969. PRO: FCO 24/448 (FWD 1/4). 14 P. R. Spendlove, British Embassy, Washington, to K. Hamylon Jones, SEAD Foreign Office, June 3,1969. PRO: FCO, 24/448. 16 D. F. B. Le Breton to Richard Neilson, British High Commission, Canberra, July 17, 1969. PRO: FCO 24/448; Sir Patrick Shaw, Australian Ambassador to the UN, New York, to Department of External Relations, Canberra, September 4, 1969. National Archives of Australia, Canberra (hereafter NAA). Extracts of early release documents kindly given to author by Anthony Balmain, SBS Television, Australia. 17 1. J. M. Sutherland to D. Murray, ‘Foreign Office Southeast Asian Department, April 30,1968. PRO: FCO 15/162 DH1/7. 18 D. Murray, Foreign Office Southeast Asian Department, July 26, 1968. PRO: FCO N/162 DH1/7. 19 D. J. Wyatt, British High Commission, Canberra, to D. Murray, Foreign Office Southeast Asian Department, May 25, 1968. PRO: FCO 15/162 DH1/7. 20 United Nations General Assembly Official Records. Agenda Item 98, Annexes, 24 Session; “Agreement Between the Republic of Indonesia and the Kingdom of the Netherlands concerning West New Guinea (West Irian)”: Report by the Secretary General regarding the Act of Self Determination in West Irian. Document 7723 (November 6,1969), Annex I, report by the Representative of the Secretary General in West Irian, paragraph 11. 21Memo from D. Hay, Australian Mission to the UN, to Department External Affairs, June 18,1964. NAA: A1838/280, 3036/6/1 pt. 83. 22Oritz Sanz to U Thant, September 7,1968. UN Archives, New York (hereafter UN), Series 100, Box 1, File 3. 25Ortiz Sanz to Indonesian Ambassador Sudjarwo Tjondronegoro, November 21,1968. UN: Series 100, Box 1, File 5. 26Australian Embassy, Washington, to Department of External Affairs, May 21,1963. NAA: A1838/280, 3036/6/1 pt. 83. 27Australian Embassy, Jakarta, to Department of External Affairs, June 12,1964; Memo from Australian Mission to the UN to Department of External Affairs, June 16,1964. NAA: A1838/280, 3036/6/1 pt. 83. 28United Nations General Assembly Official Records. 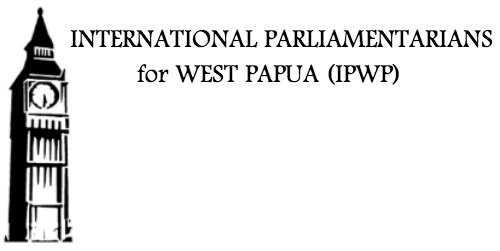 Agenda Item 98, Annexes, 24 Session; “Agreement Between the Republic of Indonesia and the Kingdom of the Netherlands concerning West New Guinea (West Irian)”: Report by the Secretary General regarding the Act of Self Determination in West Irian. Document A/7723 (November 6,1969), Annex I report by the Representative of the Secretary General in West Irian, paragraph 57. 29Ortiz Sanz to Indonesian Ambassador Sudjarwo Tjondronegoro, November 21, 1968. UN: Series 100, Box 1, File 5. 30Indonesian Ambassador Sudjarwo Tjondronegoro to Ortiz Sanz, November 21, 1968. UN: Series 100, Box 1, File 4. 32Summary of Jack W. Lydman’s report, July 18, 1969 in NAA. Extracts given to author by Anthony Balmain. 33Ortiz Sanz to Rolz Bennett, December 18,1968. UN: Series 100, Box 1, File 3. 35Rolz Bennett to Ortiz Sanz, January 2, 1969. UN: Series 100, Box 1, File 3. 36Terrence Markin, The West New Guinea Dispute, pp. 479 480. 37Brian May, The Indonesian Tragedy (Boston: Routledge, and London: Keegan Paul Henry, 1978) p. 171; J. Van der Kroef, “Indonesia and West New Guinea: The New Dimensions of Conflict,” Orbis XIV, 2 (Summer 1970): 387. 38Rolz Bennett to Ortiz Sanz, January 30, 1969. UN: Series 100, Box 1, File 3. 39Quoted in a letter from I. J. M. Sutherland, British Embassy, Jakarta, to D. Aiers, SWPD Foreign Office. PRO: FCO 24/449 (FWD 1/4). 40Sir Patrick Shaw to Department of External Affairs, April 8, 1968. NAA: A452 T29, 68/2581. 41Decree of the Minister of Home Affairs, Chairman of the West Irian sector No. 31, 1969, on the establishment of the Consultative Assembly for the “Act of Free Choice”: Regency Merauke. UN: Series 100, Box 1, File 4. 42Ortiz Sanz to Rolz Bennett, February 14, 1969. UN: Series 100, Box 1, File 4; Interview with Ortiz Sanz by Dutch Journalist Stephane Alonso Casale, December 15,1999. Extracts kindly given to author by Casale. See also articles by Casale in NRC Handelsblad (Dutch national newspaper), March 4, 2000. 43Sudjarwo to Ortiz Sanz, February 18, 1969. UN: Series 100, Box 1, File 5. 44UNGA Official Records MM ex 1, para. 126. 45Ibid., Annex 2, para. 24. 46Rolz Bennett Note for the record of the meeting between himself, U Thant, Sudjarwo, and Indonesian Ambassador Abdulgani in New MM York, January 23,1969. UN DAG 1/223:9. 47UNGA Official Records, 1, para. 141. 48Ibid., paragraphs 142 and 145. 49Six lists of summaries of political communications from unidentified Papuans to Ortiz Sanz, August 1968 to April 1969 UN: Series 100, Box 1, File 5. 50Ortiz Sanz to Rolz Bennett, February 14, 1969, UN: Series 100, Box 1, File 4. 51Rolz Bennett to Ortiz Sanz (cable No. 125), March 18,1969. UN: Series 100, Box 1. 52Ortiz Sanz to Rolz Bennett (cable No. UNWRI SKU 22), March 29,1969. UN: Series 100, Box 1. 53Draft of UN press release, March 18,1969. UN: DAG 1/ 2.2.3: 9. 54Ortiz Sanz to Rolz Bennett (cable No. UNRWI SKU 24), April 12,1969. UN: DAG 1/ 2.2.3:9. 55Ortiz Sanz to Rolz Bennett, June 14, 1969. UN: Series 100, Box 1, File 4. 56Rolz Bennett to Ortiz Sanz, April 17, 1969. UN: Series 100, Box 1, File 2. 57Robin Osborne, Indonesia’s Secret War (Sydney, Australia: Allen & Unwin, 1985), p. 42. 58Brian May, The Indonesian Tragedy, p. 173; Carmel Budiardjo and Liem Soei Liong, West Papua: The Obliteration of a People (London: Tapol, 1985), p. 21. May specifically states that a Captain Harsono flying a B 26 Bomber (No. B267) had strafed the town of Enarotali. 59Ortiz Sanz to Rolz Bennett (cable No. UNRWI JKT 51), May 8, 1969. UN: DAG 1/ 2.23:9. 60Rolz Bennett to Ortiz Sanz (cable No. 244), May 7,1969. PIZ DAG 1/ 2.2.3: 9. 61UNGA Official Records, Annex 1, para. 157. 62Ortiz Sanz to Rolz Bennett (cable No. UNRWI JKT 55), May 12, 1969. UN: Series 100, Box 1, File 1. 64Rolz Bennett to Ortiz Sanz (cable No. 258), May 16, 1969. UN: DAG 1/2.2.3: 9. 65Rolz Bennett to Ortiz Sanz (cable No. 250), May 9, 1969. UN: DAG 1/ 2.2.3: 9. 66Ortiz Sanz to Sudjarwo, May 27,1969. UN: Series 100, Box 1, File 5. 67Sudjarwo to Ortiz Sanz, June 14, 1969. UN: Series 100, Box 1, File 5. 68Hugh Lunn, Australian, August 21,1999. 69Ortiz Sanz to Rolz Bennett, June 14, 1969. UN: Series 100, Box 1, File 4. 70Rolz Bennett to Ortiz Sanz (cable No. 337), June 21, 1969. UN: Series 100, Box 1. 71UNGA Official Records, Annex 1, para. 182. 72Ibid., Annex 1, paragraphs 189 200. 73Reverend Origenes Hokujoku quoted in Algemeen Dagblad (Netherlands), December 12,1988. 74UNGA Official Records, Annex 1, paragraphs 189 200. 75Australian Journal of Politics and History, vol. XVI (July to December 1969): 9. 76Sydney Morning Herald, editorial, July 14, 1969. 77UNGA Official Records, Annex 1, paragraphs 201 207. 78Brian May, The Indonesian Tragedy, p. 192. 79Hugh Lunn, Australian, August 21,1999. 80UNGA Official Records, Annex 1, paragraphs 208 213. 81Brian May, The Indonesian Tragedy, p. 192. 82Hugh Lunn, Australian, August 21,1999. 83UNGA Official Records, Annex 1, paragraphs 214 238. 85Brian May, The Indonesian Tragedy, p. 193. 86D. Parson, UK Mission to the UN, to D. F. B. Le Breton, July 17, 1969. PRO: FCO 24/449, (FWD 1/4). 87UNGA Official Records, Annex 1, para. 253. 88United Nations Official Records: 1812th Plenary Meeting of the UN General Assembly, agenda item 98. A/L576. November 19, 1969. 89William Henderson, West New Guinea, the Dispute and its Settlement (South Orange, NJ: Seton Hall University Press, 1973), p. 252. 90Rein Mullerson, International Law, Rights and Politics (London. Routledge, 1994), pp. 77 78. 91C. Stavropoulos, UN Legal Adviser, to U Thant, June 29, 1962. Attached to back of memo from Stavropoulos to Rolz Bennett, July 17, 1969. UN: Series 100, Box 2, File 7. 92Interview by Terrence Markin with Johan B. P. Maramis, Indonesian Mission to UN in 1969, December 3,1990. Quoted in Markin, “The West New Guinea Dispute,” p. 480. 93Interview by Casale with Ortiz Sanz, December 15, 1999. 94Algemeen Dagblad (Netherlands), December 10, 1999.